Katie Eastburn’s close and country-tinged voice was at the helm of Young People, a trio that smashed folk and avant-rock together into captivatingly sparse tunes. Now Young People have been inactive for nearly a decade—though, notably, their 2002 self-titled LP is seeing a cassette reissue from Kill Rock Stars this June. Since the hiatus, Eastburn has spent some seven years slipping into a sound of her own that’s as minimalist and alarming as her more collaborative work but takes electronics as its base. Her debut full-length as KATIEE, Out All Night, includes support from the droney freak-jazz outfit Sunwatchers—featuring members of Chris Forsyth’s Solar Motel Band, among others. “Could” plunges into an instantly hypnotic pulse that blooms into an outgrowth of organic motions. A warm resonant guitar-and-key backing gives the whole track a bluesy, half-rural feel—there’s a sense of still being in the woods in spite of the whirr of a generator not far off. Eastburn’s voice as KATIEE is colder, smoother here, split into haunting two-part harmonies as she reveals, “Could is just a word for it’s cold and we should,” which she explains was lifted from a poem by Peter Relic. It’s easy to sink deep into the dark circles being churned in the eerie combination of voice and instrumentation, but the sudden quake of big drums and spacey synths pulls us out and the spell’s broken when Eastburn introduces the telling Neil Young lines, “All my problems are meaningless / that don’t mean they go away.” All the latent welled-up energy erupts in these final seconds, and the effect is stunning. 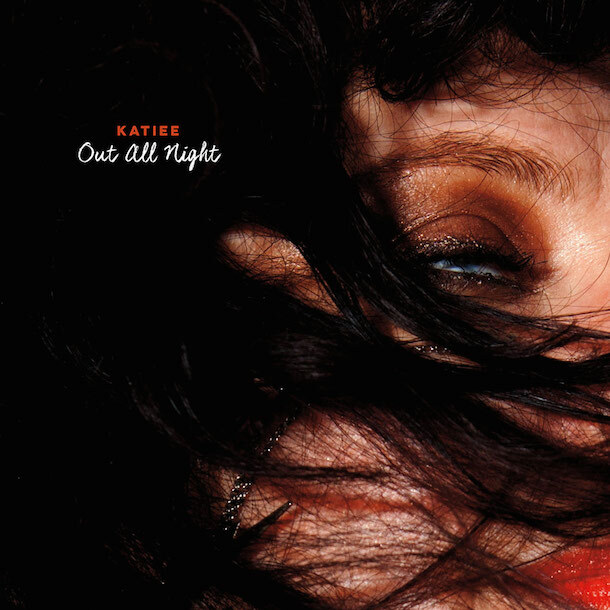 KATIEE’s Out All Night is due out July 1 on Selfish Agenda. You can stream “Could” below.